Displaying your event hashtag live on screen is both a strategic and fun addition to fundraising events. But before you jump right in, you should spend time evaluating a social media screen. But what should be considered? You want your event to be flawless and, for some, adding a twitter wall can seem risky. Why should you include a social media display? Social media walls or twitter displays create hashtag discipline. Your guests will post online but the live display encourages guests to use the hashtag for your event. This discipline ensures that you can measure event mentions for sponsorships and expand your messaging. Drive activity. A live social media display of Instagram and Twitter is fun and guests enjoy seeing their posts appear on screen. The result - guests tweet and instagram more often and your cause expands further. Utilizing an innovative live social media display demonstrates that your organization is adopting new ideas. Your event is a public display of your brand. What questions should you ask to evaluate social media walls and live social media displays? How does the live display handle internet connectivity issues? While a browser based display is easier to understand (i.e. nothing to download, easy to size etc), browsers require a solid internet connection to work well. Live displays that rely on a locally stored application will be able to bridge internet issues because the application can store posts locally on the computer for future posts. How do you control the posts that appear on the screen? Can the live social media display be customized to fit your event? 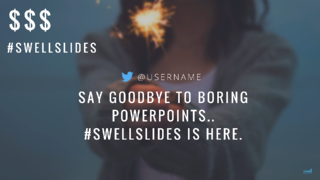 Can you upload your own background images that match your brand image, your sponsor logos and other custom slides that you want to display on the screen? How often will new posts appear on the screen? What will the social media feed actually show? What are the privacy issues related to guest posts? The guest's privacy is directed by the settings in their personal social media accounts. For example, posts from users with a "private" instagram will not show on the live display. Facebook's default privacy settings mean that few (almost none) posts can be pulled based on a hashtag. Make your decision and then enjoy watching your guests take pictures of the screen, laugh or even cheer when they see their post and point to the screen.